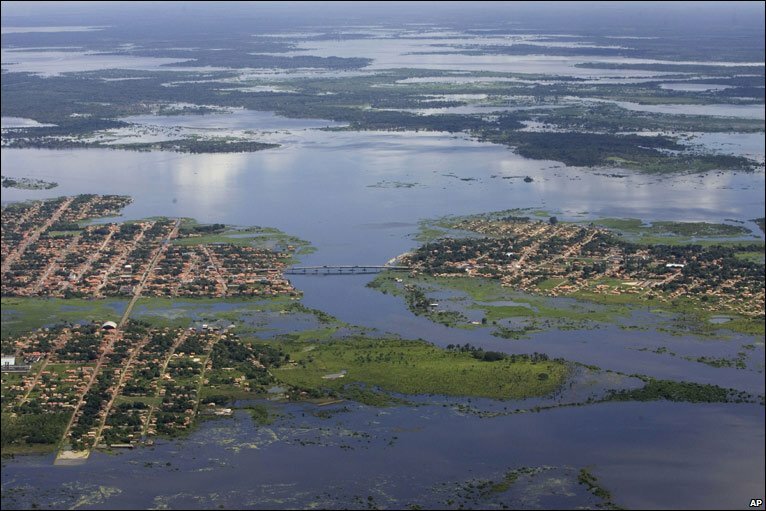 Weeks of heavy rain in northern Brazil have caused widespread flooding that has forced hundreds of thousands of people from their homes. BBC. 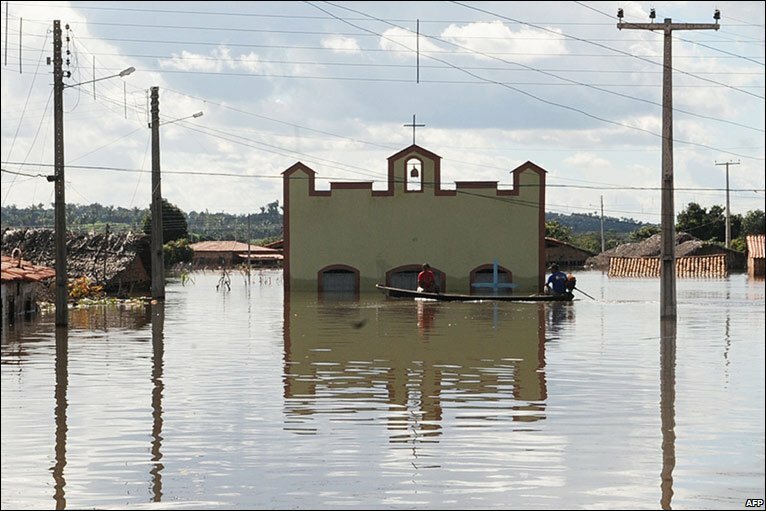 Weeks of heavy rain in northern Brazil have caused widespread flooding that has forced hundreds of thousands of people from their homes. 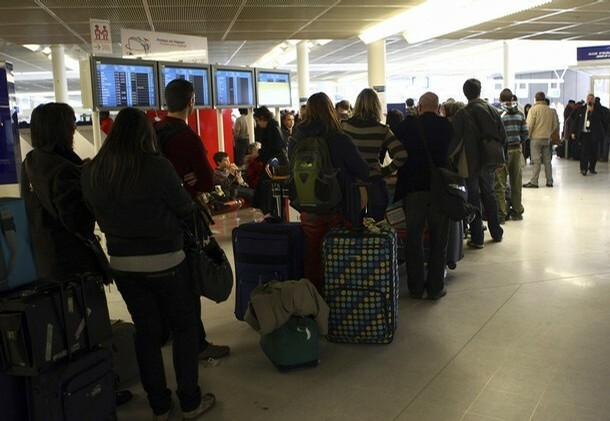 Among the worst-hit areas is the state of Maranhao, where 65,000 people have had to pack up and leave. BBC. Among the worst-hit areas is the state of Maranhao, where 65,000 people have had to pack up and leave. 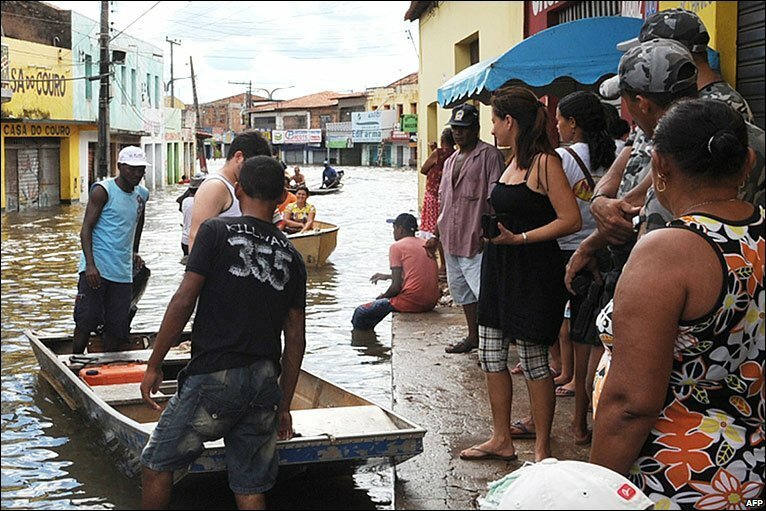 In Maranhao, where the high levels of the river Mearim show no signs of abating, residents have been waiting for transport across the flood waters. BBC. 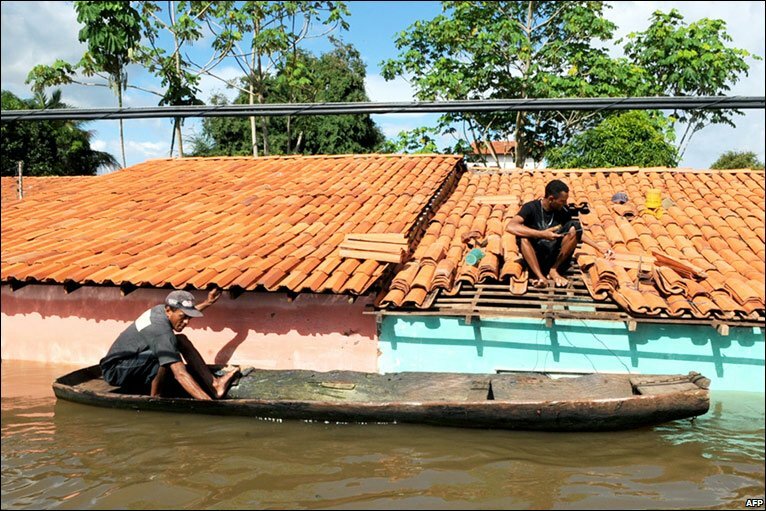 In Maranhao, where the high levels of the river Mearim show no signs of abating, residents have been waiting for transport across the flood waters. The town of Trizidela do Vale is said to be almost completely flooded. Residents here float pass a half-submerged church on a boat. BBC. The town of Trizidela do Vale is said to be almost completely flooded. Residents here float pass a half-submerged church on a boat. 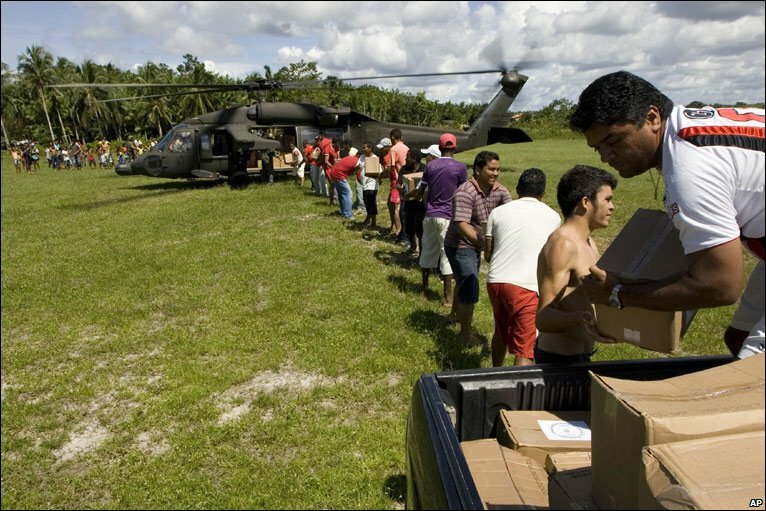 Brazilian Air Force planes have been bringing in supplies of food, medicines, clothes and blankets to the displaced. BBC. 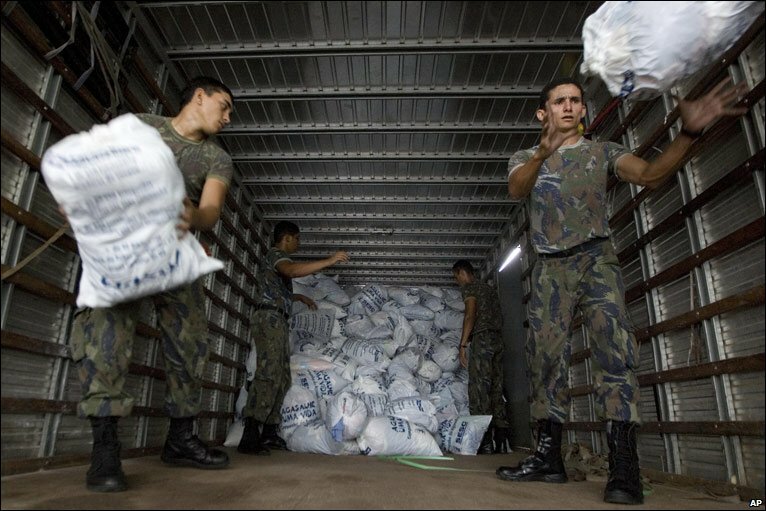 Brazilian Air Force planes have been bringing in supplies of food, medicines, clothes and blankets to the displaced. Across the north and north-east the authorities have to provide support for up to one million people affected by the floods. BBC. Across the north and north-east the authorities have to provide support for up to one million people affected by the floods. Bangkok – Thailand’s Parliament on Friday postponed a vote on a new prime minister after a court sacked premier Samak Sundaravej this week for moonlighting as a television cooking show host. Samak had been renominated for the job he lost Tuesday, but the failure by many of his own People Power Party (PPP) members to show up for Friday’s vote demonstrated the strong opposition to his reinstatement. House Speaker Chai Chitchob decided to postpone the special session after failing to meet a quorum of at least half the 480 members of the House of Representatives. The meeting has been rescheduled for Wednesday. Samak was the leading candidate to become prime minister even though he just lost the job when the Constitution Court found him guilty of violating Thailand’s charter by accepting outside employment during his premiership. Although the court’s guilty verdict forced Samak to resign his post, it did not strip him of his member of Parliament status, paving the way for his possible re-election by his PPP, which holds 223 of the 480 seats in the lower chamber. The PPP named Samak as its nominee Thursday, but the nomination was far from unanimous. Somchai Petprasert, a PPP member of Parliament, had said about 70 PPP lawmakers would abstain from voting for Samak Friday because they felt he would not be able to solve Thailand’s political crisis. It was unclear whether the PPP majority would continue to push Samak’s nomination next week. ‘The PPP still supports Samak, but if there is no way out, we may have to dissolve Parliament and let the people decide again,’ said Jatuporn Promphan, a deputy government spokesman and PPP member. But caretaker premier Somchai Wongsawat denied that a dissolution was eminent. ‘I have never considered this matter,’ Somchai told reporters. Somchai, the current education minister and brother-in-law of ousted premier Thaksin Shinawatra, is deemed a possible alternative candidate for the premiership. Although Samak’s renomination by the PPP was controversial, it demonstrated the lack of political options within the party, which has been dogged by its close ties to Thaksin, who was toppled in a bloodless military coup on September 19, 2006, analysts said. Meanwhile, there was speculation among political observers Friday that Samak would refuse the premiership if it is offered to him again. ‘He is not likely to go on,’ said Chaturon Chaisaeng, a close ally of the PPP, adding that a new candidate was likely to be named by the party on Sunday. Samak, who became premier in February, has been the target of the People’s Alliance for Democracy (PAD) anti-government movement, which seized Government House, the seat of the administration, on August 26 and has occupied it since. The PAD insists it will not vacate Government House until Samak and the PPP are out of power. The PAD, which has the silent support of Thailand’s political elite and has proven untouchable by the military, was instrumental in paving the way for the downfall of Thaksin two years ago. PAD leaders view Samak, 73, a right-wing politician who has been a well-known figure in Thai politics (and on cooking shows) for the past four decades, as a proxy for the toppled Thaksin regime. Thaksin, a billionaire telecommunications tycoon who used populist policies to secure the votes of the urban and rural poor during his two-term premiership from 2001 to 2006, allegedly backed Samak as prime minister because of his strong credentials as a royalist and his relatively good relations with the military. As prime minister, Samak demonstrated some independence from Thaksin, who is now living in exile in London with his wife and family. Although Samak had good relations with the military’s top brass, they were not good enough to win the army’s support in confronting the PAD. Samak declared Bangkok under a state of emergency on September 2, outlawing all gatherings of more than five people, but the military flatly refused to enforce the decree on the PAD followers at Government House, who number in the thousands. ‘As a prime minister, I think Samak is a spent force, but the PPP doesn’t have anyone else anywhere near his stature,’ said Thitinan Pongsudhirak, director of the Institute of Security and International Studies at Bangkok’s Chulalongkorn University. Most of the other senior leaders of the PPP have even closer ties with Thaksin, meaning their appointment to the premiership would fail to end the standoff with the PAD, whose ultimate objective is to rid Thai politics of the Thaksin political legacy. The PAD-Thaksin standoff has been characterized by some political observers as a showdown between Thailand’s political elite – the bureaucracy, military, old business families and staunch monarchists – and Thailand’s elected politicians who enjoy the support of the rural poor but have a recent history of corruption in office. ‘It’s the beginning of Thailand’s end game,’ said Thitinan of the showdown that has paralyzed Thailand’s government for weeks.